The proper use of web analytics is important to determine the status of Key Performance Indicators (KPI's) that directly impacts the Return on Investment (ROI). Visits and visitors often confuses the webmasters. Technically, visits is the count of the number of sessions and visitors is the count of the number of unique browser visits. Time on page is a measure of the total time that a user spends on the particular page and Time on site is the measure of the total time that any user spends on the entire site. The percentage of exits that happens from the landing page is known as the bounce rate. It is one of the most important metrics to analyse because it directly determines how relevant your web pages are w.r.t. to the users query. A high bounce rate is a direct indication that a site is not performing well with the audience. The percentage of exits that happens from a particular landing page is known as the exit rate of that page. If the high conversion value pages have a high exit rate then its time to revamp your conversion optimization strategy. The outcomes divided by the number of unique visitors determines the rate of conversion. The direct indication of a positive or a negative ROI is determined by the overall conversion rate of the site. A high conversion rate provides a higher ROI as opposed to a lower conversion rate. The behavior flow is a great way to determine the degree and level of user engagement. It lets you get an idea about the top landing pages and the 1st and 2nd interactions which the visitors are making on your site. Avinash Kaushik is the Digital Marketing Evangelist for Google. Having started his career with Intuit, Avinash went on to become one of the most respected Digital Marketing Specialists in this world. Avinash has several videos related to Google Analytics where he shares his experience and love for data. Analytics is all about identifying valuable metrics available in the form of raw data and Avinash teaches us how to play with this data. His books, Web Analytics 2.0 and Web Analytics an Hour a Day are a must read for a newbie. Also, I recommend every internet marketer to read his personal blog. 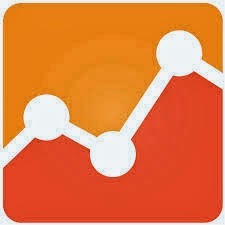 1- Why Bounce Rate is the Most Powerful and Sexiest Metric? 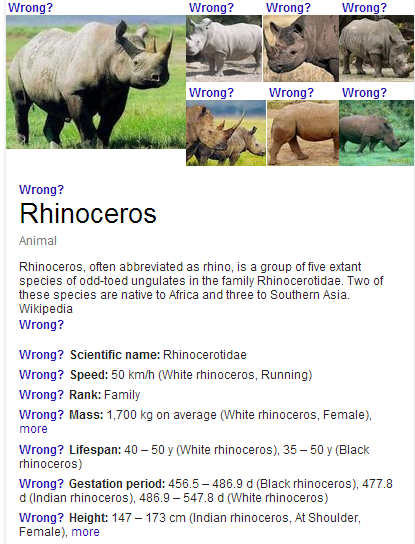 Knowledge Graph Feedback- Google Wants Us to Tell What's Wrong? The Knowledge Graph is a free database of entities and their relationships maintained by Google. This database is based on the information available from free sources like Wikipedia and Freebase. But, Google fears the information provided by these sources might be inaccurate and this is the reason Google displays the feedback option along with every Knowledge Graph in order to allow people to locate the possible errors. Another possible reason might be that Google Knowledge Graph algorithm which is still in infancy might go wrong in judging the relationships between the entities. A feedback in time will allow Google to locate the error and use it as a base for future algorithms that will be more powerful in determining relationships than the existing one. Clearly, Google doubts either the information available from its sources or its own algorithm and requests user feedback on the accuracy of the information. Every Google user is playing a part as a Knowledge Graph tester. Google knows that in its quest for becoming the number 1 answer engine in the world, it must have a database of real world entities and their relationships that can assist it returning accurate and faster results to the user. Best of luck Google and the Knowledge Graph. Search engine optimization campaigns can require a lot of work, especially for websites that weren't designed with search engine ranking in mind from the beginning. SEO is not usually completed in a single day, with most requiring work over the course of several weeks, months, or even years, depending on the site and the keywords you're trying to rank. Maintenance should also be taken into consideration when planning an SEO campaign, as most strategies have to be updated over time to keep them relevant and the site ranking against the competition. One important factor that's often overlooked when running SEO campaigns is data management. SEO campaigns can accumulate a lot of important data to which more than one person may need access. In this article, we'll take a look at a few data management techniques that can help keep your SEO campaigns running smoothly and, more importantly, your clients happy. Keywords are some of the most important data you'll need to collect and analyze when running an SEO campaign. Depending on how many campaigns you manage, you may have to collect, store, and analyze hundreds or thousands of keywords that are relevant to one specific website. Using a keyword manager can help keep track of the keywords you use on a daily basis. Look for a keyword manager that allows you to add or delete keywords easily, tag the keywords for categorization and running reports, and import and export large amounts in CSV format. If you have multiple teammates working on the same campaign, it may be useful to find a service that stores data in the cloud so it can be accessed from anywhere. Since keyword research is vital to a successful SEO campaign, make sure you keep track of your data in real time by using a data integration provider like Syncsort.com. Just like keyword management, link management is equally important when running a successful SEO campaign. Depending on how large the campaign is, you may have a hundred different links or a few thousand. Your data management software should be able to keep track of the status, the type of link, and the website on which the link is located. Look for a provider that allows you to search and filter through links, manage multiple campaigns, and import and export large volumes of links in CSV format. If you have multiple people working on the same link-building campaign, it's important that everyone has access to the same real-time data. Choose a data management provider that offers a cloud-based storage solution that everyone can access and edit. Keeping team members on the same page is crucial to running a smooth campaign. Your clients will thank you for it. Creating fresh, unique, and captivating content is just as important as picking the right keywords to focus on during your SEO campaign. If you don't create content, you'll have a hard time getting the website to rank against the competition. Keep track of the content your team creates for each campaign, where the content was posted, how many views it's received, and the keywords it contains. It can be helpful to keep track of the URLs so you can update your linking strategy later on, as well. Depending on your SEO strategy, you may need to create accounts for a variety of social networking, bookmarking, and marketing sites and services. Everyone working on the campaign should have access to this information so that no time is lost tracking down basic information like usernames and passwords. Since these accounts can contain sensitive data, your data management practices should include security so that only the people who need the information have access to it. If your data management software allows you to set permissions, make sure you include everyone who needs it, and password-protect it to keep unauthorized people out. SEO is a process that takes time and dedication, along with good research since search engine algorithms are constantly changing. Since SEO is an evolving process, it's a good idea to keep track of the results on a consistent basis. Good data management practices allows you to compare the results week to week, month to month, and even year to year. If you're running a campaign for a client, keeping track of historical data allows you to show your performance over a selected period of time. Consider keeping track of direct navigation, referral traffic, and search traffic, both percentage and exact numbers. It's also a good idea to keep track of which search engines your traffic is coming from, and what keywords and phrases are being used to find the site. In addition, keep track of the conversion rate by search query term or phrase. Knowing where your sites' conversions are coming from enables you to revise your strategy in the future and focus on the tactics that are working. Good data management practices are just as important as the campaign itself. If you're unable to track the results of your campaign, you may end up wasting time and effort on strategies that aren't working. More importantly, if the SEO campaign is for a client, you need to be able to show the progress you've made over a specified period of time. If the client can't see any positive results, they may be more likely to look elsewhere for help. Good data management practices allow you keep track of your keyword research, link building, content, account information, and the results of your campaign. If you're not using data management to your advantage, now is the time to start. How to Make Your SEO Campaign Stand Unique? There are high chances that another Google update might have happened on March 25th, 2014. Although no confirmation has been given by Google so far but there are speculations that a soft Panda update is in progress (Not sure, just my assumption). Matt Cutts had hinted earlier this month that a softer Panda update is coming. Backlinks as a ranking factor is fighting hard to keep its value in the overall ranking algorithm of Google. 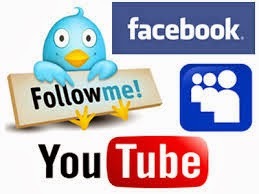 User engagement factors like social shares and comments are giving a hard fight to it. Although, Matt Cutts clearly indicated in a recent video that Google is not ready to drop the link factor from its search ranking algorithm at least for now! But, there are strong indications that Google is constantly testing results without counting backlinks as a ranking factor. As a smart inbound marketer, it is time to be prepared for the day when user engagement on the resource will hold a greater value as compared to the backlinks. This may sound strange to some but certainly we are fast moving towards a web that rests more on user engagement. Social value of any resource is receiving a greater attention from Google's algorithm simply because it is an accurate measure of a content loved by its users. Backlinks were included in the ranking algorithm because it helped Google correctly analyze the value of a relevant resource and now the same can be analyzed with the help of social shares. But, Google can't ignore the value of backlinks completely. The algorithms needs to be sophistically designed in order to tackle the relevancy of social shares and comments. Google is one of the top ranked companies to work for in 2014. It has been ranked number 1 in the list of Fortune 100 best companies to work for. Google offers several opportunities of full time and internship as per the requirements and vacancies available on their branches in India. Google India has branches in Mumbai, Gurgaon, Bangalore and Hyderabad. Getting a job at Google is not easy and the hiring process requires you to be good at many things. But, the amazing life at Google that you will get after joining the world's best company is like a dream come true. How to Clean Your Link Profile?